Just a few cobwebs in a house that we carried out a deep clean on today in Hastings – We carried out the work on behalf of Sussex adult care unit. Very happy & pleased, Bathroom looks like new. Would recommend Bill to another customer. I am so pleased with the cleaning up of the Terracotta tiles in my dining room. Bill worked hard and long and was a perfectionist. Nothing was too much trouble – and it shows! 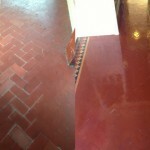 Hi Bill, We just wanted to say thank you again for the fantastic job you have done on our terracotta floor. I don’t really want to let anyone (or the animals) in the kitchen in case they spoil it; it now looks how we hoped it would when it was first put down 17 years ago, and we have always been disappointed with it until now! 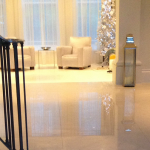 Thank you so much for recommending Bill who did a great job cleaning our stone floor on 29th September. We were so please with the outcome. Great job, great service, great guy. I couldn’t be more pleased with the work. It has made a huge difference to the hallway, at a very reasonable price. Bill was very pleasant to deal with, he arrived on time, worked steadily and cleanly. I would certainly recommend him. Thank you, Bill! No complaints at all. Job seemed to be very well done (though admittedly we had nothing to compare it with). Your man did both hallways of our adjacent houses on the same visit (convenient to us) and was very pleasant and quick and efficient. I was absolutely delighted with Bill’s work. His was the lowest quote I had received, he arrived exactly when he said he would and did a thoroughly brilliant job (despite having to work in freezing cold conditions!). 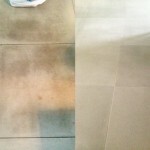 The floors look even better than I could have hoped and I will definitely be recommending Bill to friends. Thank you. Really good service, very friendly. Will definitely use again. I would certainly recommend Bill Bailey, the victorian tiles in my hallway were dull and grubby from years of wear but after treatment they look brilliant. The work has transformed my hallway and everyone is noticing and commenting how good it looks. The job was done quickly and efficiently, I wish Id had it done ages ago. Copyright 2016 Baileys Specialist Cleaning and Restoration Services Limited. All rights reserved.